Is more than a year too long to wait? 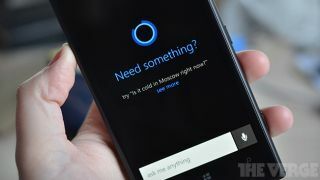 Microsoft has finally unveiled Cortana, it's Siri-competitor, but we won't see her pop up in devices until some time in 2015. Named after the artificial intelligence character in the Halo video game series, Cortana goes up against Google Now and Apple's Siri, sitting somewhere between the two. It is powered by Bing, has a bit of a personality like Siri, and can pull data from resources like Foursquare and elsewhere for contextual awareness like Gogle Now. You'll be able to use Cortana to schedule reminders, set alarms and translate voice to text, but it will also have support for third-party apps like Facebook and Skype. Cortana will even show emotion. But while Cortana looks to make Windows Phone platform rival the prowess of Android and iOS, it will only begin to start rolling out in beta form as part of the Window Phone 8.1 update in the US from April or May. A full version of Cortana will roll out in the second half of the year, with Microsoft only saying that the release will expand into the UK and China by the end of 2014. As for when we'll see it in Australia, it likely won't be until 2015. That said, we probably won't be the last country that Cortana rolls out to, but with Bing not having the strongest presence in Australia, the wait could end up being over a year long.